Brixo looks like a clever solution for this. Just connect, finished. No programming knowledge necessary. Thanks to a Bluetooth-stone incorporation in more complex scenarios is probably also possible. 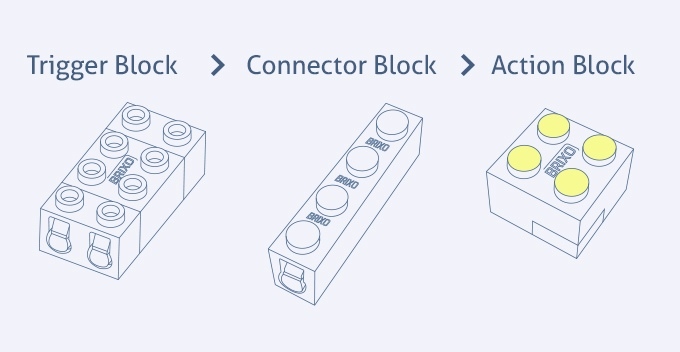 The fact that the stones are to be fully compatible with normal Lego must be mentioned again because Brixo is not a project of the Lego company. The basic concept seems so simple that even the younger members should be able to use it. Especially the absence of cables is cool. What options Brixo supplies later in combination with, for example, a Raspberry Pi remains to be seen, of course. But I can imagine here very exciting possibilities those who want to get something more out of the stones. The costs of course, depend entirely on the amount stones, one wants to order. You should check out the packages of the campaign if you wan’t to know more. At last it will be cheaper than a Mindstorm. The delivery date of October 2016 sounds a little bit sporty to me. Let’s hope that the stones can be at last under the Christmas-tree 2016. Otherwise surely there will so some tears.